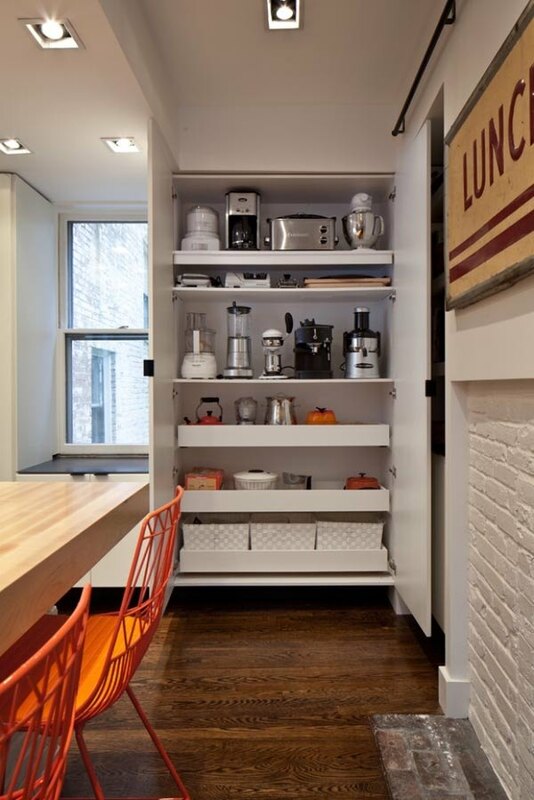 Very often being organized sounds like a simple thing. 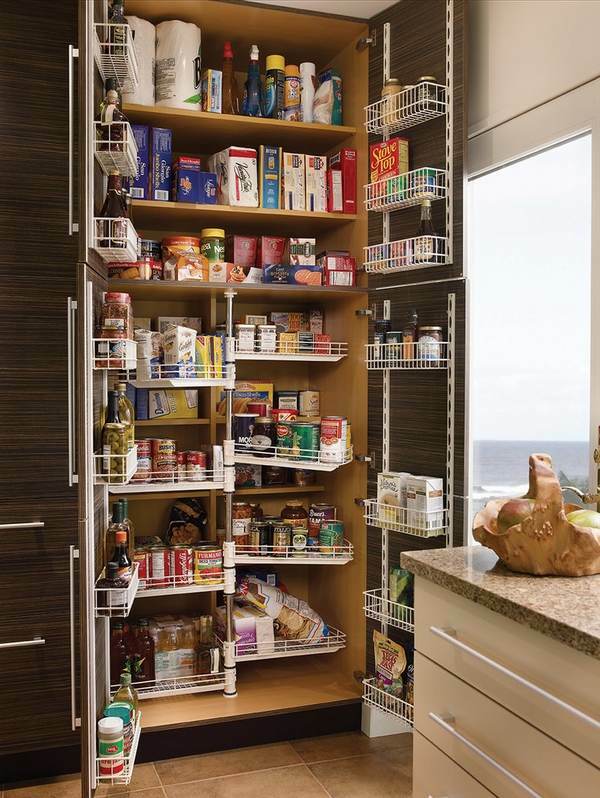 However, many of you know, that a good organization may be a difficult and sometimes impossible task. 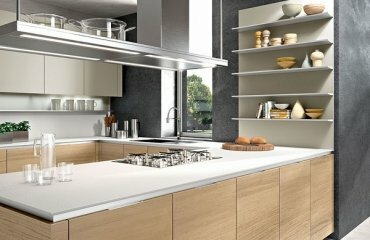 A good organization and order in the kitchen is one of the most difficult things to achieve, because of the so many little things that need to be kept. 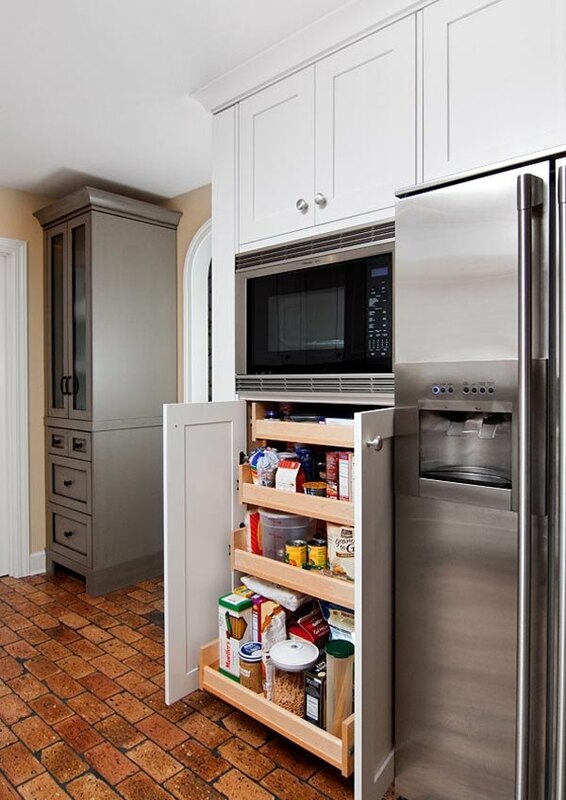 We often think that people who have vast kitchens have no problem with organizing all the utensils, food supply, spices, etc., but the truth is that limited storage space offers many creative solutions. 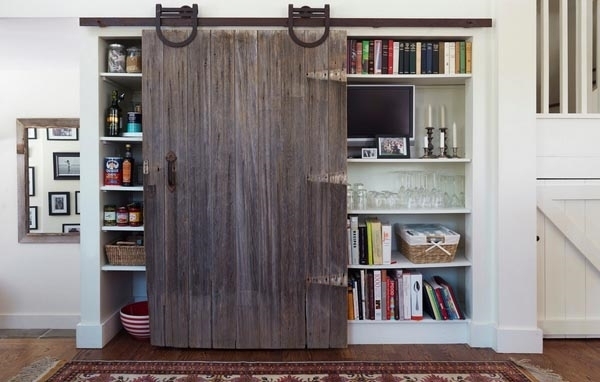 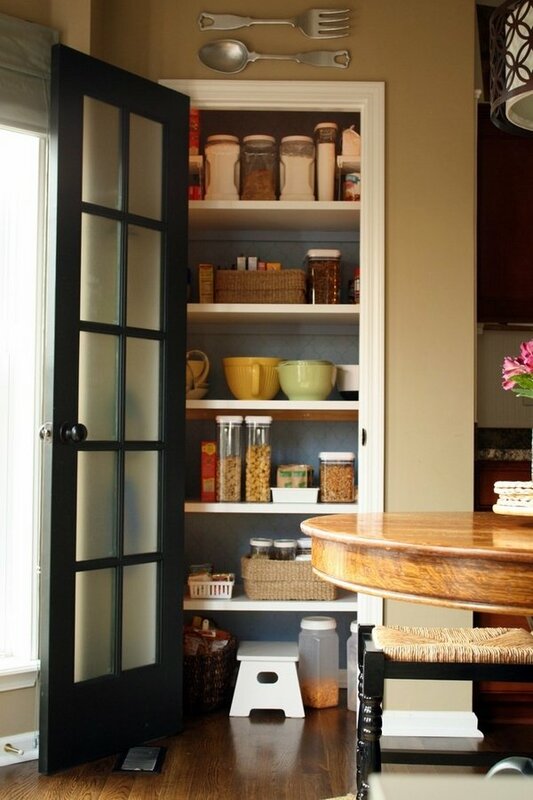 We have collected some cool small pantry ideas which will help you get everything in order. 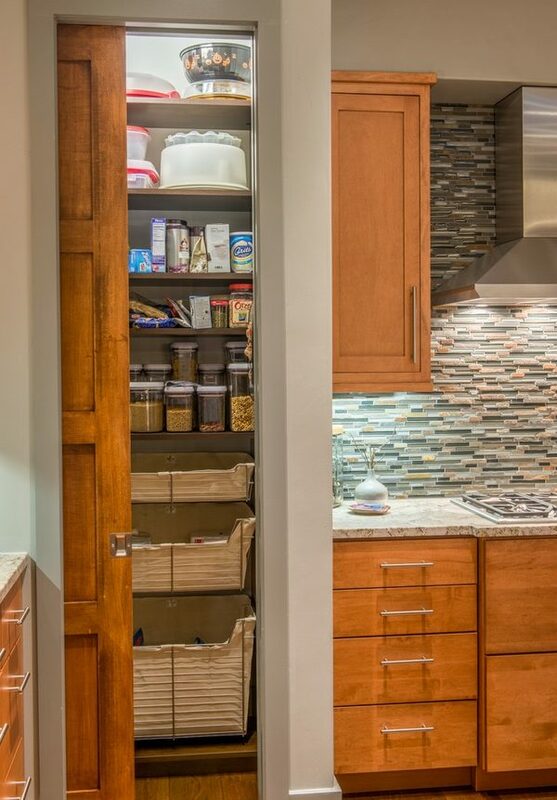 These small pantry ideas will definitely not make your life easier. 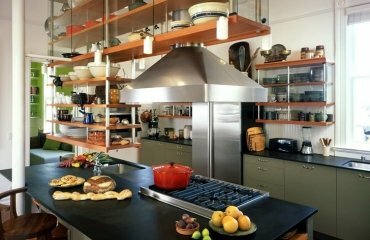 They will help you stay organized, they will help you save money, as very often people buy things that they already possess but cannot find. 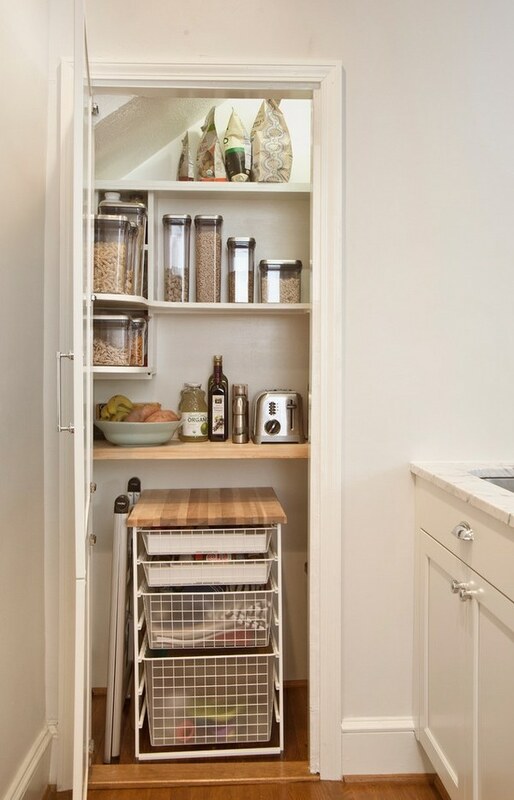 Let’s see how to use your small pantry in a clever way! 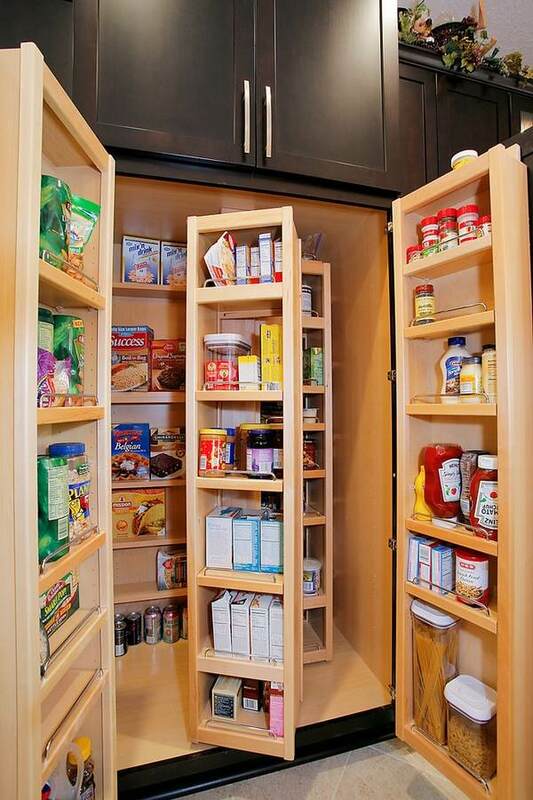 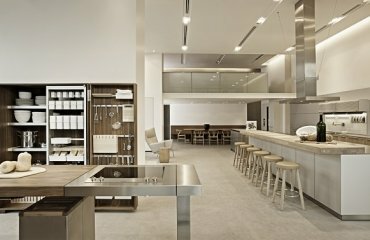 By definition, the pantry is located next to the kitchen or is a continuation of the kitchen. 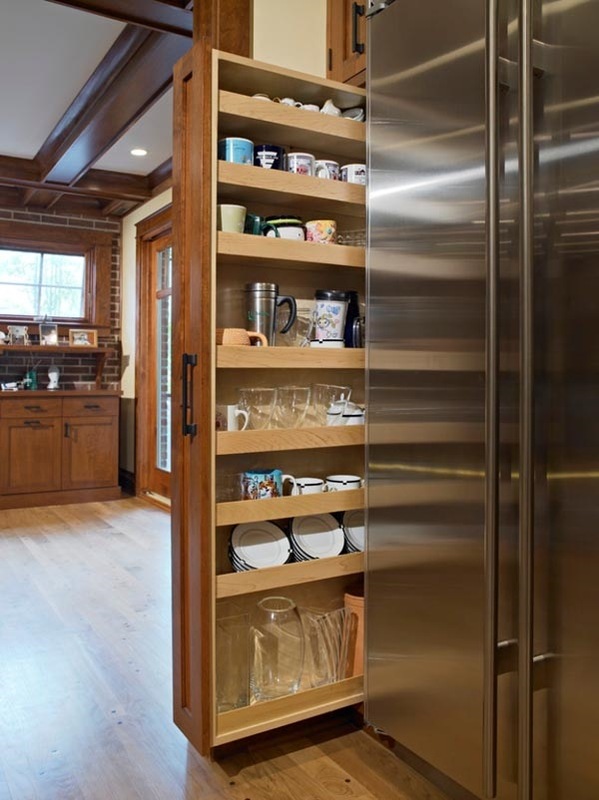 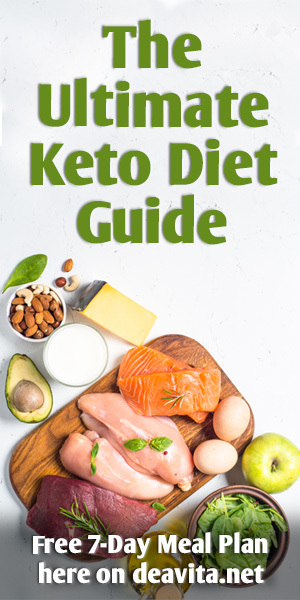 This makes sense, since the presence of the pantry next to the kitchen will help to optimize your time in the preparation of food, as well as help you keep track of products and supplies. 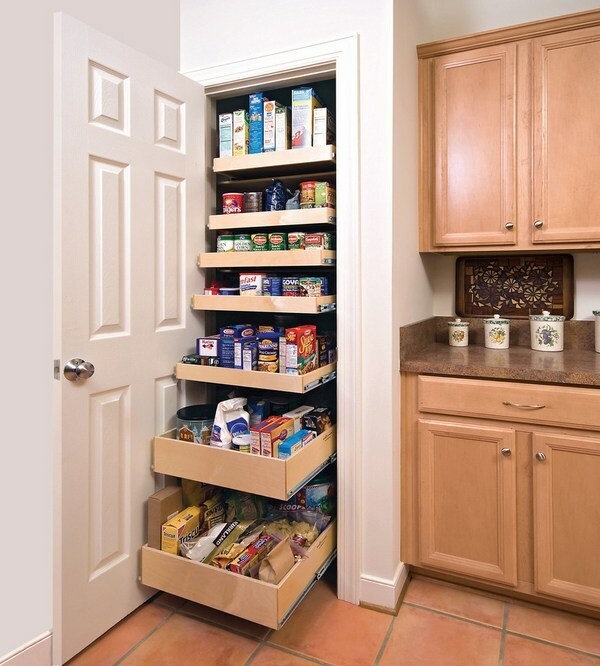 Even a small pantry should provide relatively cool temperatures, low humidity, low light and good air circulation. 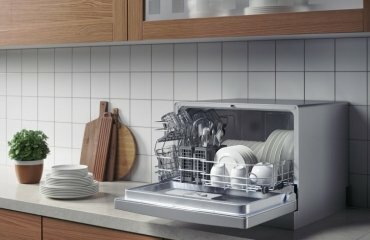 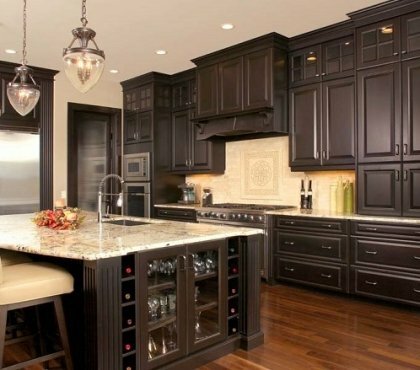 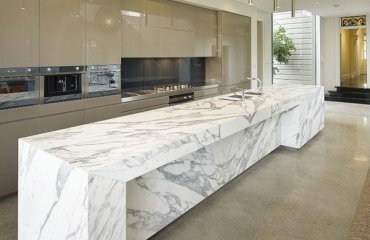 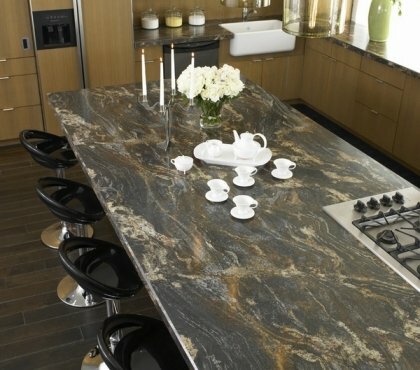 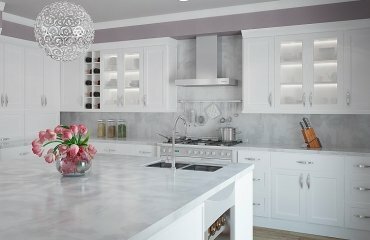 Shelves and cabinets are the first and most logical option. 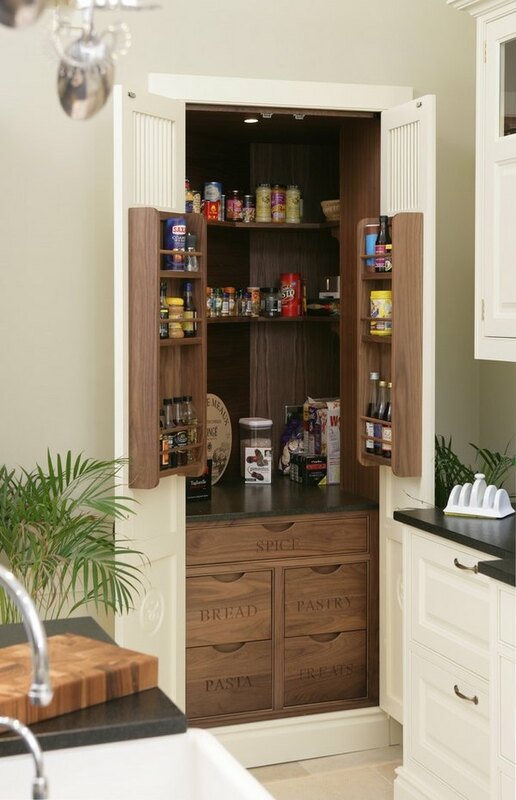 Installing solid wood shelves with cupboards for food storage is a good idea. 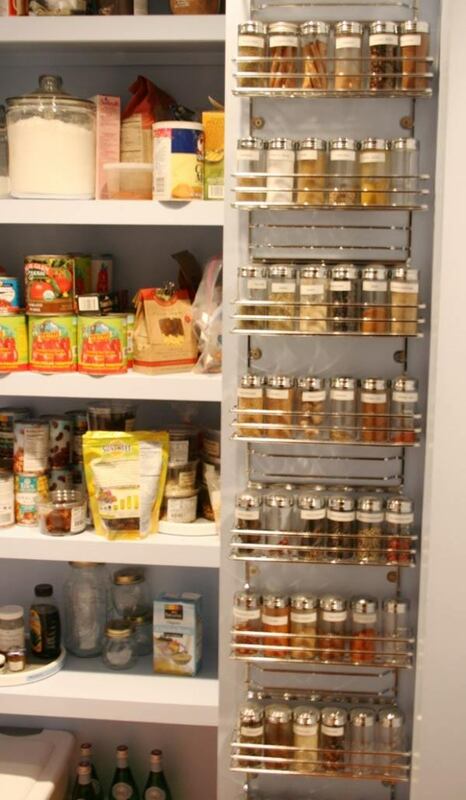 It is advisable that the shelves are broad and not too deep because you may have difficulty finding your products. 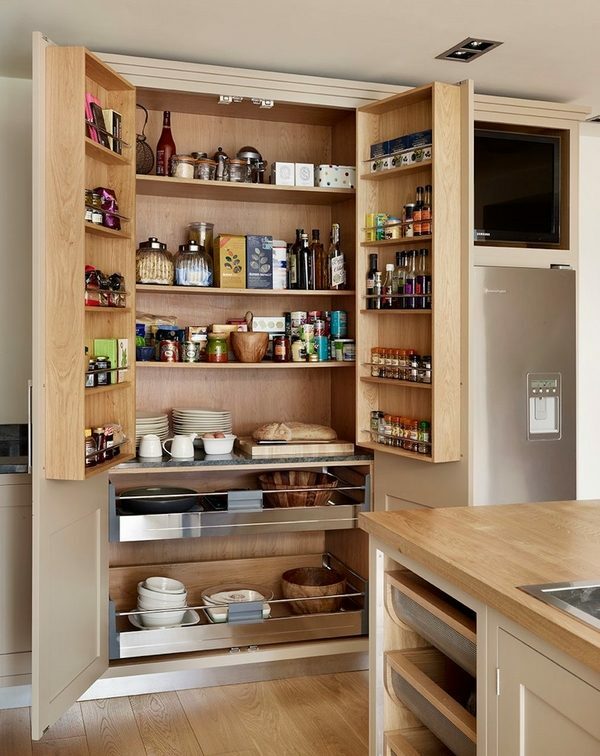 Shelves with adjustable height will be very useful for storing large and irregularly shaped objects. 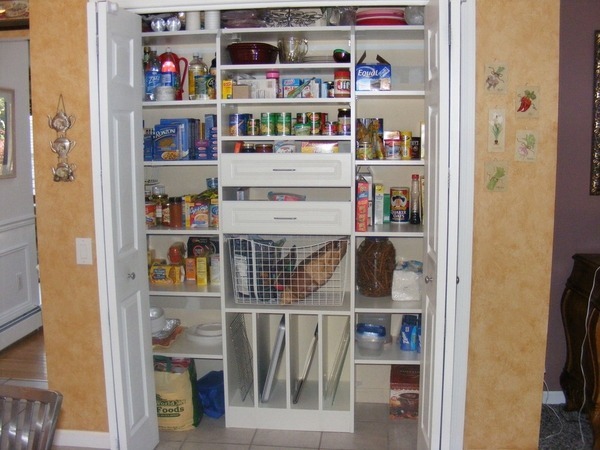 Another useful idea to store food in the pantry is the idea of ​​buying large wicker baskets, which can be placed under the shelves. 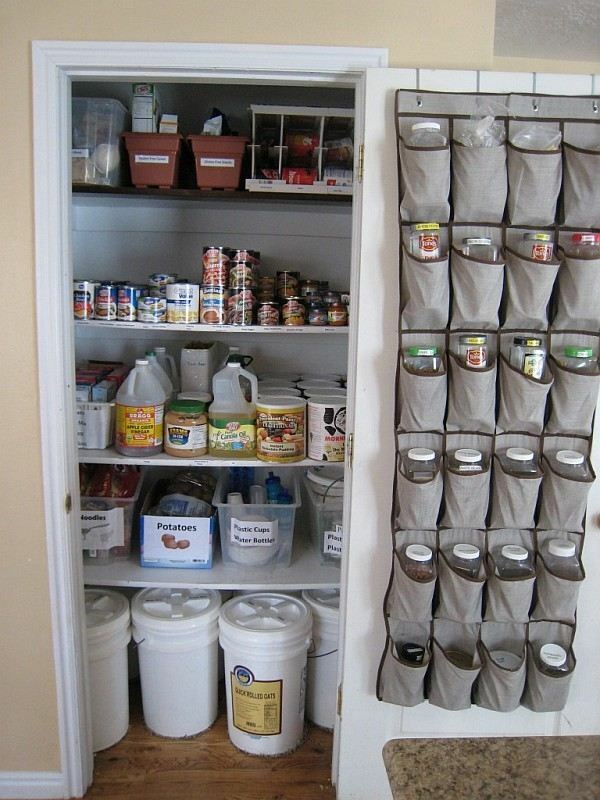 These baskets can be used for storage of root crops such as potatoes, onions, carrots, beets and garlic. 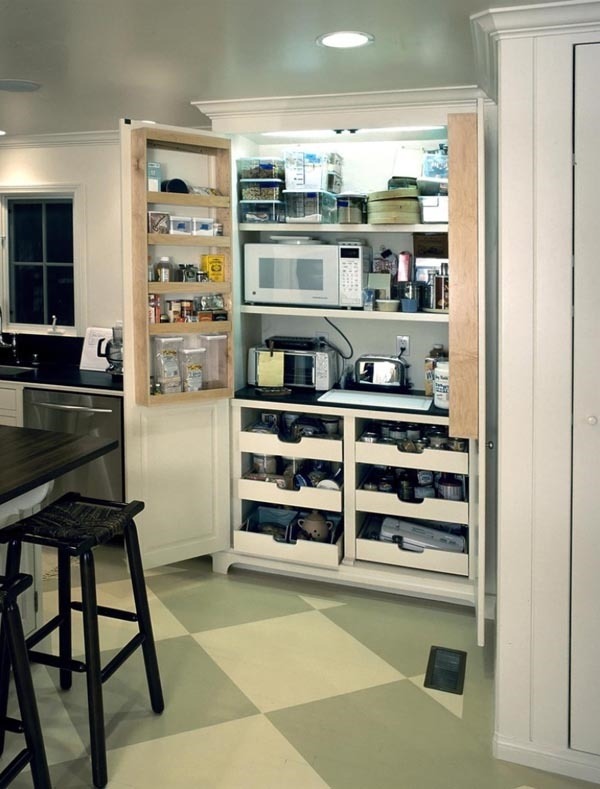 Corner cabinets can be used for storage of essential non-food items, such as candles, trays, lamps, etc. 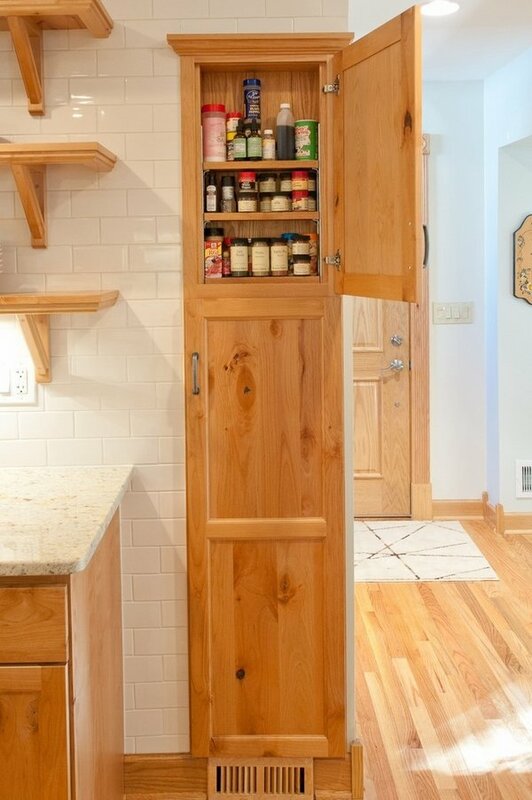 A built-in shelf behind the door of the pantry will store jars, spices and containers. 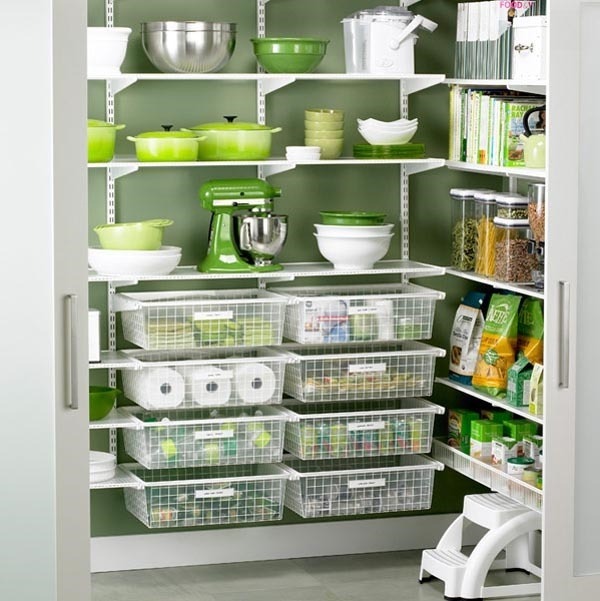 Check the small pantry ideas below and get inspired for your own kitchen organization!